The centre for fine art photography provide support to photographic artists through exhibition,promotion,portfolio reviews,publication,education and connection to a large community of other artists, curators,gallery owners and photographic professionals. It was founded in the year 2004 as a non-profitable organisation. Artists selected for exhibition by the Juror are invited to attend the Artist Immersion Weekend. All selected artists are included in the Main Gallery Exhibition and Online Gallery seen by an international audience. 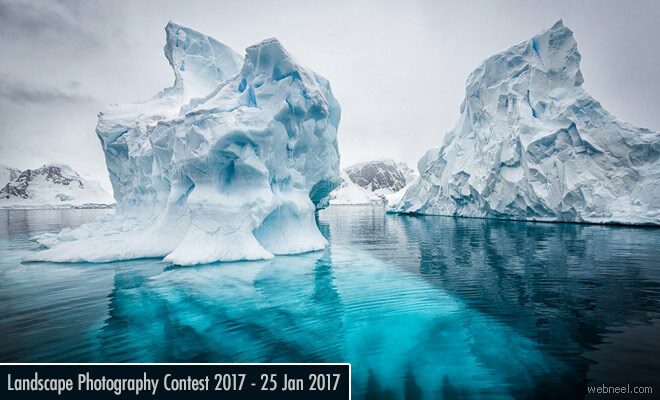 All artist renditions on the Landscapes theme, genres, capture types and photographic processes are eligible for selection by the juror. Non-Members : $34 for the first three images. Entries are open to all photographers world wide, both amateur and professional. The Center invites photographers working in all mediums, styles and schools of thought to participate. Closing date for entry is 25th January 2017.